sometimes I wonder what the f… I’m doing. language, watch the wording please, family forum and all that… such profanity is not allowed. My prefered Tool shop had a promotion. They sell HSS and HSSE 8% for the same price. HSSE is much harder (what i prefer usually) but this tiny cutters are brittle enough in HSS. If they break deep enough (in something like this Aluminium) it is over. I only used the second and third cutter. The hole was a bit to wide for the first one. But i have taken enough material away. Now i have 4 nice threads . And the screws fit perfect! Cleaned the holes with a syringe a 25ga needle and IPA. And because practise makes perfect i went for a new TIR backlight. 2x iceblue 2x pink. Grinded down the tube (to compensate for the bigger driver). I played a bit with iso and WB on the pictures. I would say the last two ones are close to the real color. Not 100% but close. But it is more dimm in real. Now the backlight is more even. Especially with this Special TIR survace. This is with the old Backlight. Not so smooth. This is the new one. More uniform backlight. And yesterday i did a little mod to my hadband. I removed the chinese plastic and wrapped the headband with super soft 1mm leather. Much more comfortable and much better if sweat is running down your forehead. Your light is so absurd bright! 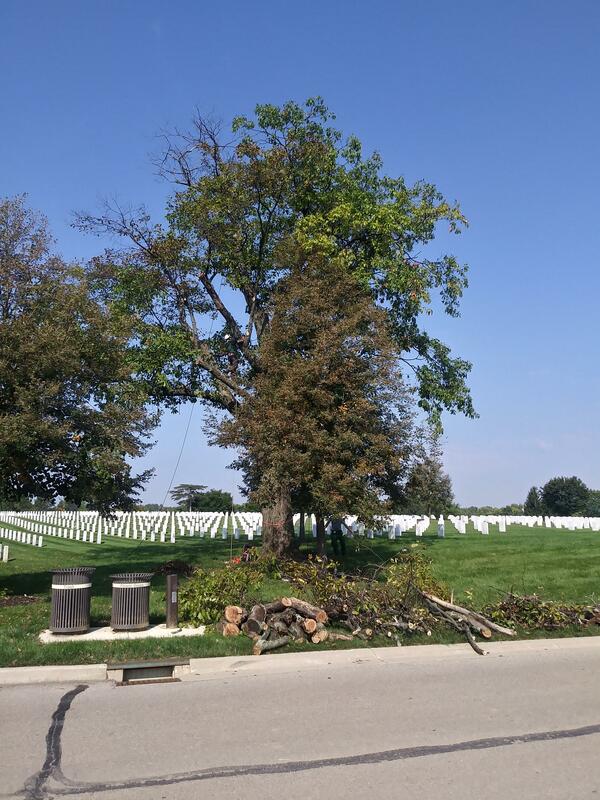 Yesterday I modded this >200 year old oak tree as part of Operation Saluting Branches I was one of only two climbers at the Dayton Ohio national cemetery (there were 3 bucket truck crews there working as well) but me, a recreational climber who does a few tree jobs a month as side work got there and got the biggest freaking tree! So awesome! Half way done in this pic, finished before lunch and took on a whole area of trees needing dead wooded by the monument, inaccessible by machines after lunch. Nice work CK! Must have been a real trip getting that selection! There should not be any difference between HSS and HSS with cobalt below 300 degrees C.
As far as i know the HSSE cutters are harder because of the cobalt (longer use of tool because less wear or you can cut harder materials). But like the cobalt drills they are more brittle. And from using both cutters i would confirm this. But i could be wrong. @TheOnlyDocc, how did you actually managed to do this? 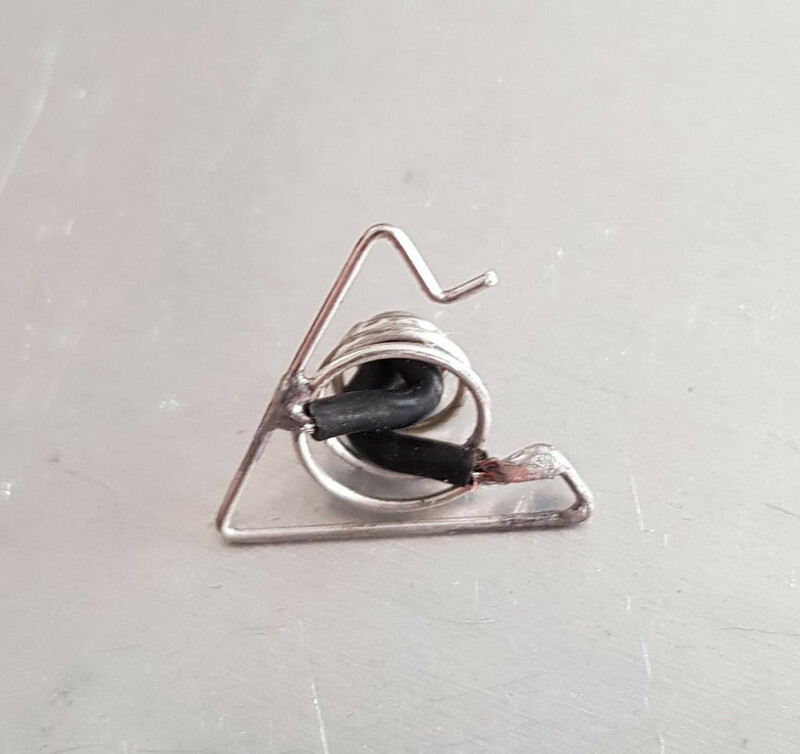 This looks close to impossible since the heat from the soldering iron would travel to the other wire, and melt the solder joint. Simply clamp the first solder joint with stats, make your second joint. 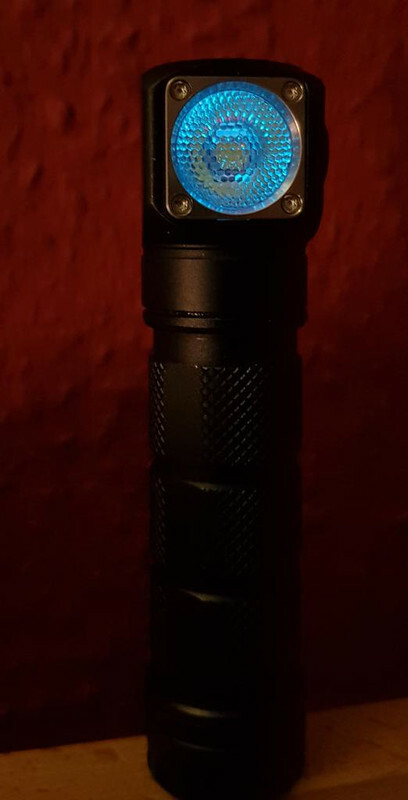 I got 10 Osram Oslon Black Flats today, put the first one in a modified Emisar 1DS with Anduril, replaced the 18ga wires already in the light with 22ga leads. I SHOULD have re-flowed a copper disc under the MCPCB first to raise it up some, but did not. So I’m slightly back on focus point. Still, hitting 4.62A for 890 lumens at ~300Kcd. Pretty cool little emitter! Thanks! Regarding the soldering. Practice makes perfect! But seriously, there are more much more skilled people here on BLF. But it helps to have a powerfull iron and the right flux/solder combination! 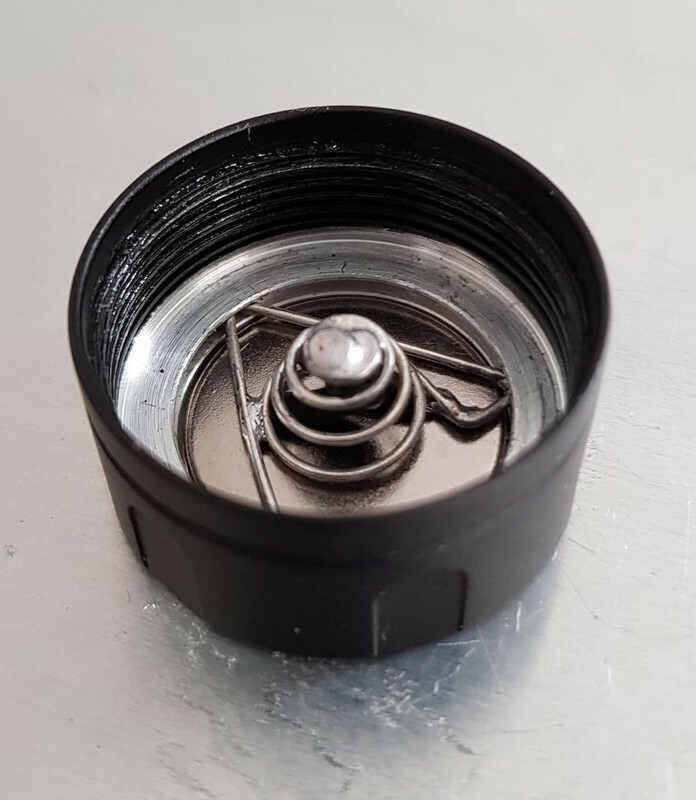 Wanted to build something instead of using this spring (cutting away a part inside the tailcap and fitting a strip of copper with a regular spring soldert to it). But i lost most of my electrical tools during a water damage. So modding the original spring in some way was the next best option. e1000 nice combination! Like the S6 and the tripple looks nice in it. 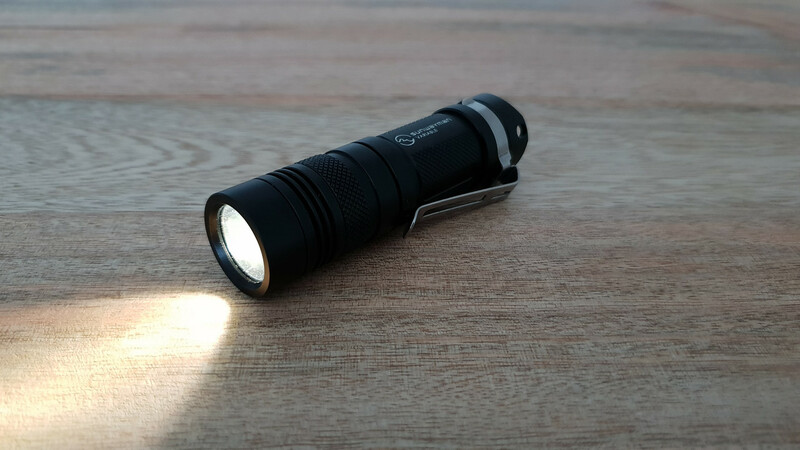 Finished my BLF GT yesterday. GITD Tape in the Reflektor Housing. Not yet checked the Lux. I will do my Report on TLF, and perhaps link it here. Same hss can be hardened to different values. Cobalt cant increase hardness, it helps to increase “temperature resistance hardness”. If you work with material that is hard and ductile (some ss alloys, nickel alloys, titanium), you need sharp edge cutter that works with high speed. Regular hss cutter will loose its sharp edge fast after overheat, while hss with cobalt cutter can be still sharp with same cutting speed. Saving good mechanical properties with bigger temperature is what I call “temperature resistance hardness” (dont know right meaning in english). Thanks! Learned something new ! But if it only increases “temperature resistance hardness” why they are using it in threadcutters? Or do they really get so hot in special occasions? Interested to see how it works out! I could bite my A.. not buying the GT when i was able to buy from the first batch on the GB list. Cobalt is usually added to raise the “hot” hardness. They are not harder, they just maintain hardness at a higher temp, less thermal fatigue over HSS. 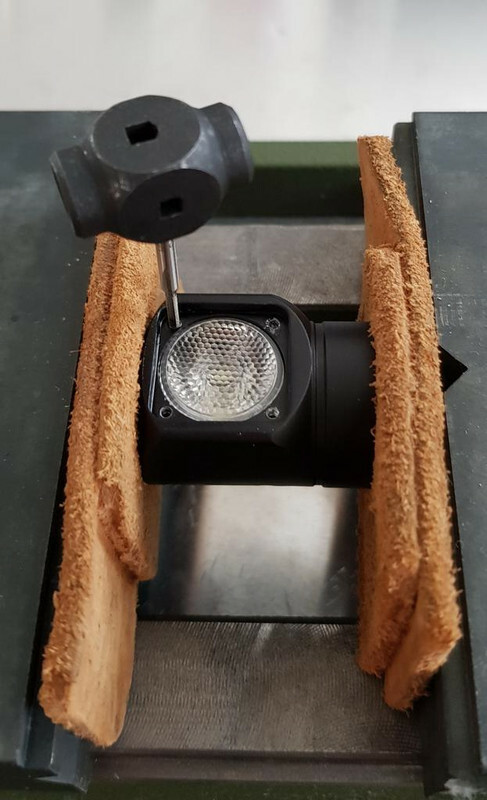 For an example would be in production tap heads, were cycle time is critical, so they push the limits to produce more parts at a higher rate. But i am not wrong that it makes it much more brittle? The HSSE cutters i have are so delicate. It is cheaper, less heavy and allows bezel-stand. And its easy to fit. I have sanded it down. There is althoug a glas lens wich will fit, but you need a printed adapter to hold it properly. Perhaps I will change it later. First I wanted to try if it works. 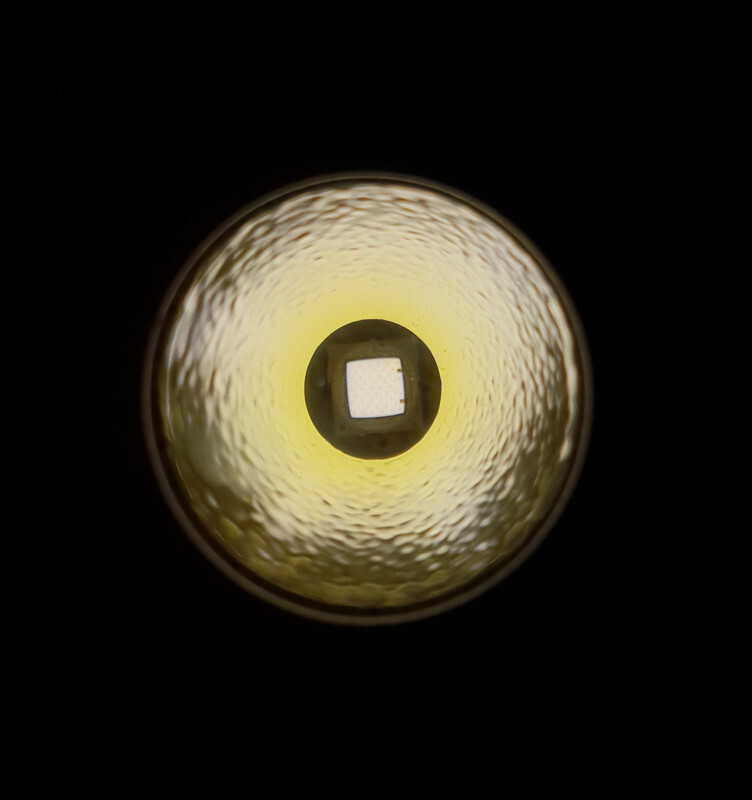 The main advantage of the GT for a aspheric mod is, that the reflector-housing can be screwed from the LED-Engine. First you have enough room to set the focus to the Wavien Collar and later you can adjust the focus of the lens. @Wieselflinkpro Interested to see how it works out! I could bite my A.. not buying the GT when i was able to buy from the first batch on the GB list. Yes of cause. I got it for the cheapest price. Selling this one would have been easy, if you dont like it after buying. If you buy it now, you will loose money in contrast to the first prices. 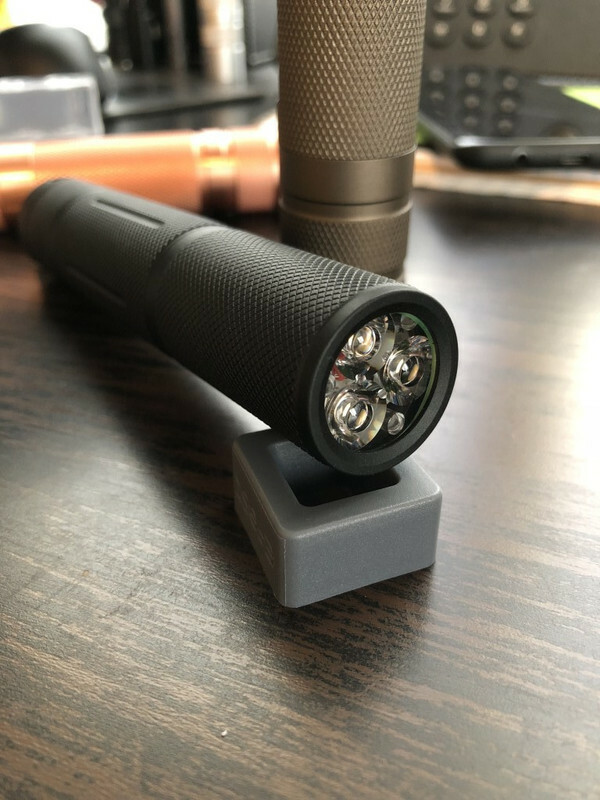 Put a 4000k (xm-l2) emitter in a new V11R that I found cheap. Very nice tint and finally I have a rotary light. Didn’t expect it, but it was one off the easiest mods. Light opened up pretty easy with some rubber and a vice. Now to find a way to machine the tube to 18350. Cool mod. Do you have a description of what diodes (1203 etc.) you used and where did you connect them in the flashlight? I used 0603 leds from ebay This two colors are the only ones in my collection that could run together without using resistors to balance the output. 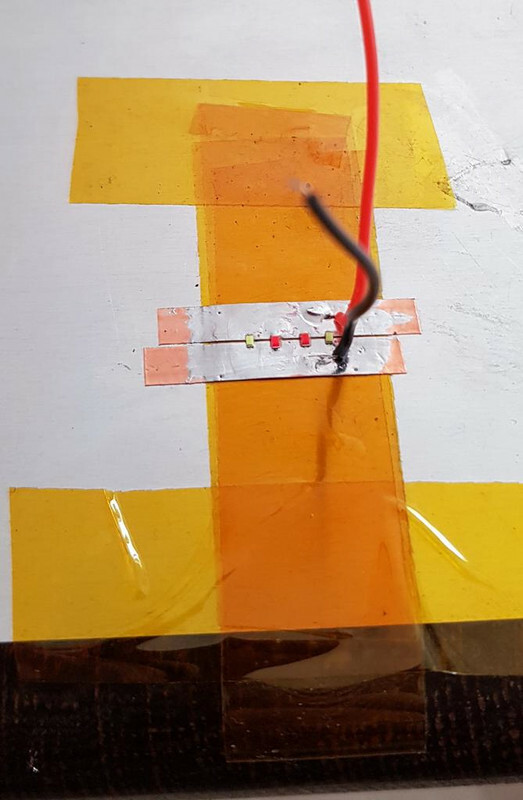 But if you ask our electronic gurus there are maybe other leds that can work together without balance resistor (or i find a way to add resistors to the mix). I used a Lexel Driver with NarsilM. So backlightled+ connects to the switchled output (so if using battery check . . . the backlight is blinking ) and backlightled – connects to the switch groundpad (i disconnected the original switchled because i did not want to have another color on the side and because the silicone cover is precolored i could not get the color right even with changing the original led). The wires from the switch still going down on the right and the backlight wires going down on the left side of the head. So you have enough space for the wires arround the TIR to not show through the TIR. A foil pcb (do not know the exact english name) would be great. Even smaller and with optional resistors (and if the design is right it could be a strip that you can cut into the right length. Wrap it arround your TIR Tripples. . . Cut it solder wires to it and ready. Could be something somebody can make a few bucks with (if its possible to get custom foilpcbs cheap. The price of Flex PCBs is clearly the problem here. The cheapest options I could find were around $100 for low volume runs. So that’s not going to happen. From what I found on forums like EEVBlog you would need to order at least 1000pcs to get acceptable prices. Since you’ve tried it with a flex PCB, do you think a thin (0.8mm) PCB in the style of the D4S could also do the job? It all depends on the space behind the TIR. I have not the exact measurements from the H03 (i made a paper template to cut it to size). But there is not much space if you put the leds near the top of the TIR (best effect). Maybe i find something that workes better and is cheap. But for now i tried 0,1mm and 0,2mm copper wires (soldering everything together is a absolut pain), to use flat (like flex pcb) wires out of a car (the flat wire that is wrapped arround your steering collum and connects to the airbag in your steering wheel), to using this tiffany copperfoil on Kapton tape. So it is not the first try. And maybe someone here on BLF has a Brainfart and comes up with something that makes it work cheaper/better. .. . or i see something that trippes the switch in my brain. Duty scratches always look so good on lights of others. When I scratch my own I somehow never see it that way. You could always send him one of yours to scratch up, then send back to you, no? Cannot wait to see this! Is it possible to share where you bought this? Also how hard was it to swap the led? Does it use 16mm mcpcb?